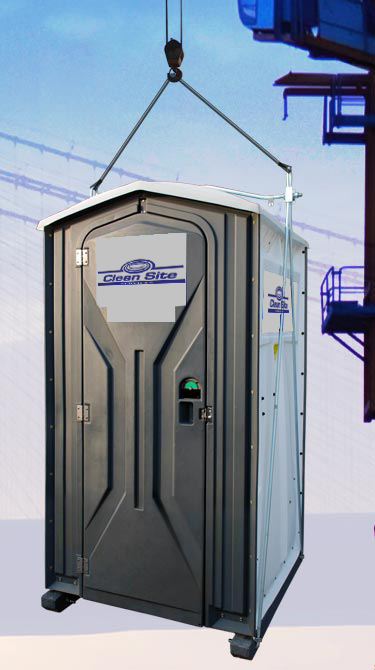 Designed specifically to accommodate the job site that requires a portable toilet in a tough to reach location – such as 4 levels up on a high rise building construction in process – our versatile High Rise Construction Toilet can go where other restroom units cannot! 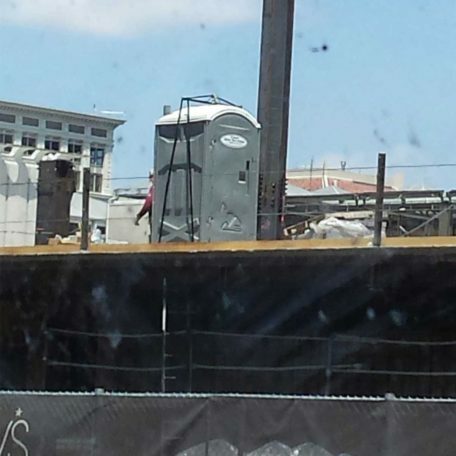 This porta potty is outfitted with a unique steel exo- frame with a hook on top and wheels on the bottom. 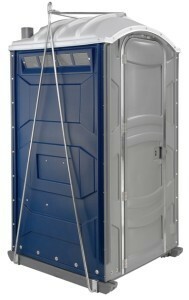 Using the hook, a crane can hoist this porta pottie and place it on the level it is needed. The built in wheels allow the unit to be located in the perfect position. This portable toilet rental unit provides solid performance with an efficient layout. The hi-rise construction restroom has a separate toilet and urinal. The small footprint of this porta potie, along with its large holding tank, makes this rental toilet a perfect solution for the ‘challenging’ job site.